Season is starting with finnish team nationals (SM means Finnish Nationals) on 14.-15.5.2016. Individual finnish nationals will be held on 12.-14.8.2016. 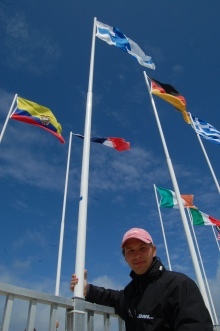 My personal sailing schedule is also to make Sailing World Cup in Hyeres, IFDS Medemblik and Kiel. After this boat will be packed into a container and sent to Rio. I will continue the season in finland with my second boat that I have. Hopefully we will see sailors from europe and all over the world taking part to Finnish ranking serie. In each race we usually have 15 - 25 sailors and on Finnish nationals 25 - 35 sailors.